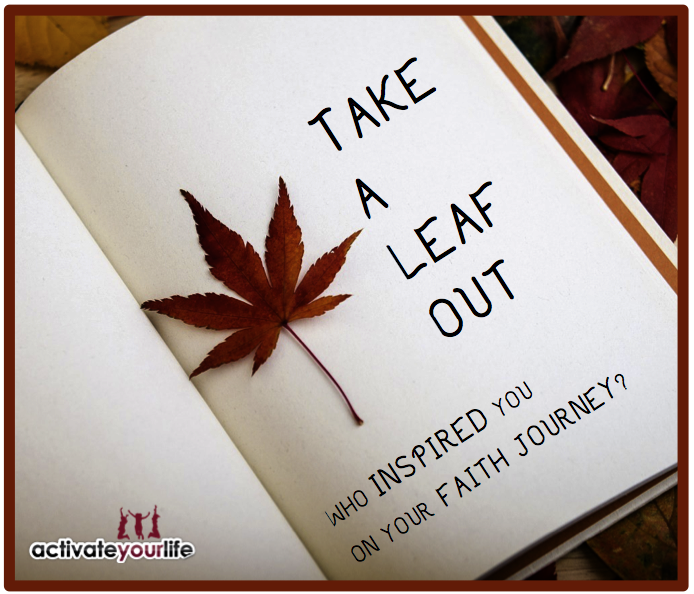 WHO INSPIRED YOU ON YOUR FAITH JOURNEY? When I come across women of incredible character I just want to be with them. It’s almost that just by being in their presence I hope to catch something of their essence and, almost by osmosis, absorb all that they are. I want to listen to them, watch how they live their lives and ask them questions. When I first joined my last church in my mid-twenties, I had just left an entire life to move back in with my parents, I had no friends and was very new to following Jesus. I was determined to get involved and signed up to help at a Mums and Tots group every Tuesday morning. The team of women were inspirational, they held such a quiet assurance, an overwhelming joy, a deep selflessness and a fiery desire to impact the lives of these mums and children. They were convinced God was going to show up amongst the screaming of babies and carrot sticks being flung everywhere. It was my first taste of mission. To gather together mums, not to look after their toddlers for 90 minutes, but to come alongside them, encourage them, listen to them and share Jesus with them. I loved it! Rachel headed up the team and instantly took me under her wing, she made me feel welcome and made me feel like I had purpose in being there. She always believed in me more than I believed in me. She saw something in me that I couldn’t yet see. She saw a leader in me, she saw a preacher in me, she saw an evangelist in me. And she was determined to draw these things out of me by encouraging me, pushing me, listening to me and praying for me. She was my greatest cheer leader and supporter! Rachel gave me confidence to be myself and ask God to use me. She was the spark that led me to go on to lead the children’s ministry at church! I watched her tirelessly fight for these mums, pour out her life for them, have her heart broken for them, lead her team with great vision and passion even when it was tough. I learned that to reach the lost took more than a few words, it took a laying down of a life, it took surrender, it took the boldness and audacity to pray for compassion and love for his sons and daughters. I have been taught to find inspiring women like this and offer to take them for a coffee – ask them questions, ask them about the joys and trials of mission, faith, church, marriage, parenting… and listen, make mental notes and pay the bill. Yet now I strive to go one step further, I find those who are a little (or a lot!) behind me in this adventure of following Jesus and I take them for a coffee. I pray God would use me, I share verses with them and tell them to keep going! I call out their gifts, talents, abilities and potential, because like me they have no idea how God plans to use them in mighty ways!